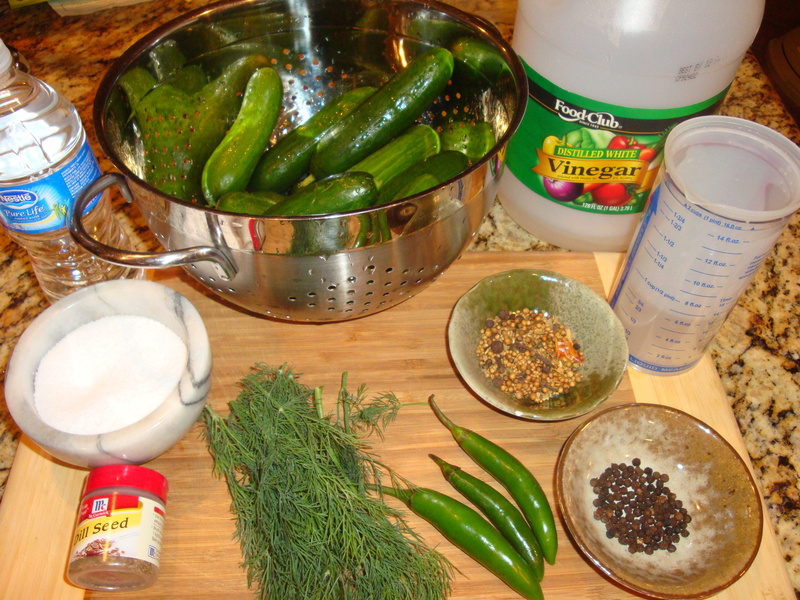 I continue to work my way through Chapter 1, Salt, and decided to tackle the Traditional Dill Pickles recipe. I found some decent Persian cucumbers at our local Asian market. Ruhlman specifically tells you that the quality of the vegetable is imperative. 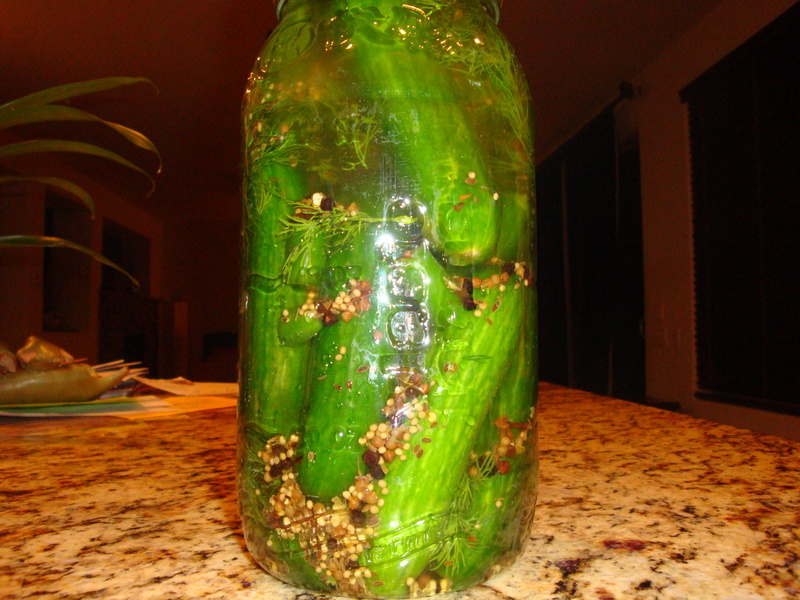 He suggests only pickling when they are garden fresh or abundant at your local famers market. If you do not the likelihood of producing a crisp pickle is not good. While the Persian’s I purchased looked pretty fresh I will confirm that they were not crisp however, they still where pretty darn good. So good that I would definitely do it again. 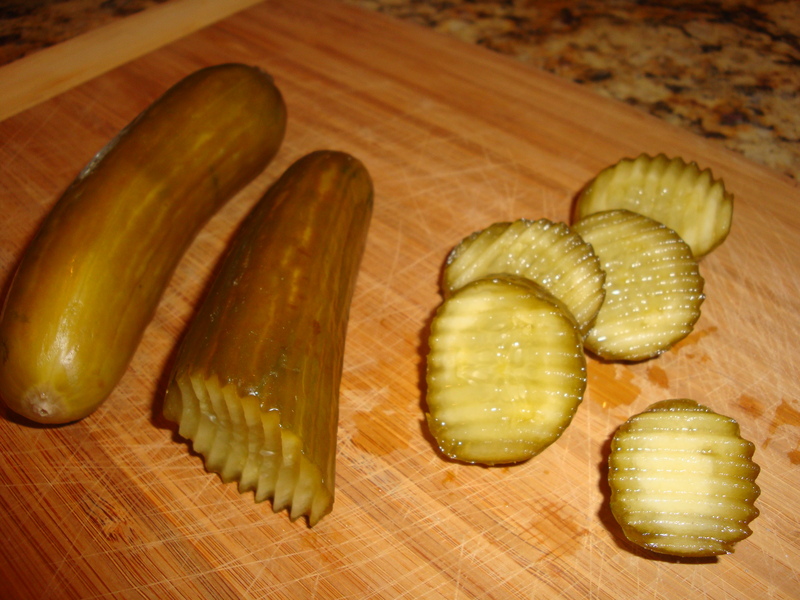 I did some research and there is quite a bit of debate on additives to consider for making the pickle stay crisp. Pickle Crisp (which is calcium chloride) marketed by the people who make Ball jars is one option that appears to be popular. 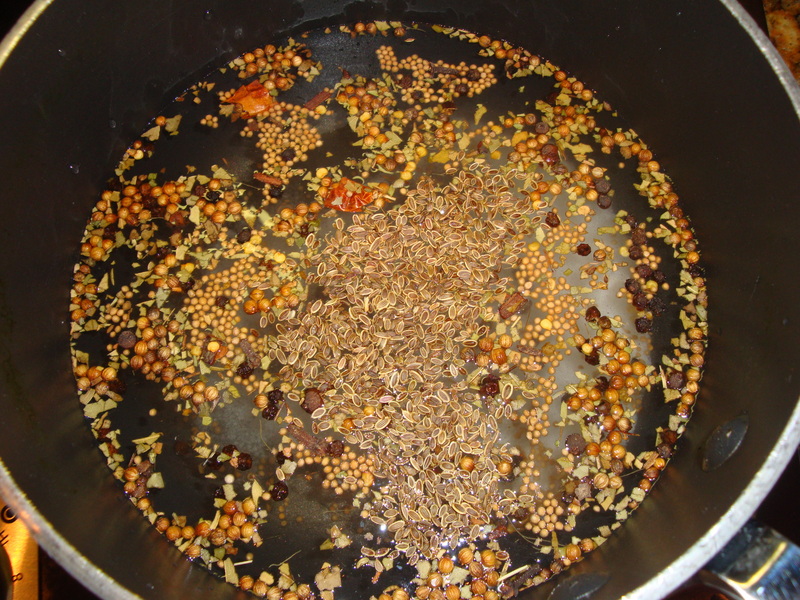 Once I had my ingredient assembled I combined all of the spices with the water to create the pickle brine. I brought the brine to a boil and let it go for about 5 minutes. 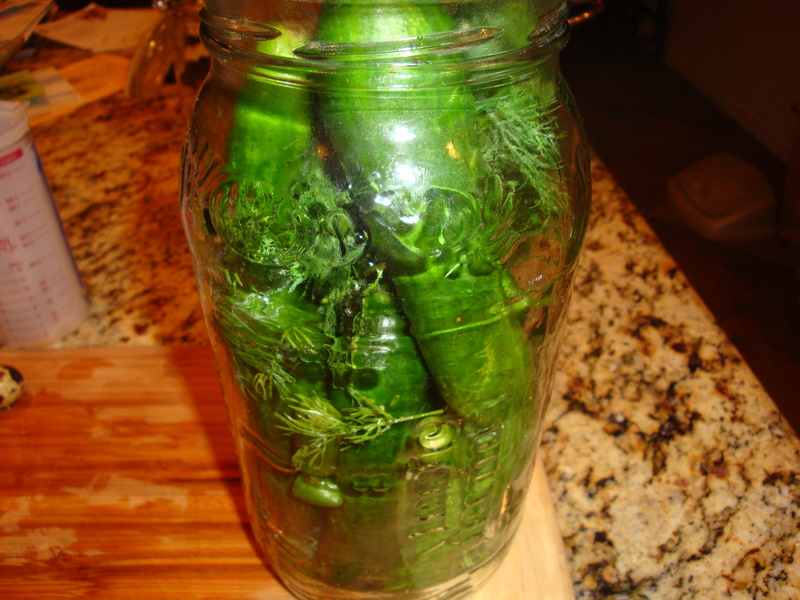 Next I took my cucumbers, fresh dill and Serrano pepper and layered them into the jar. Once the brine had completely cooled I filled the jar of cukes with it and refrigerated for about a month before giving one a try. Wow! The Serrano peppers came through loud and clear! If you don’t like spicy pickles I do not recommend using the Serrano’s. Next time I make a batch I think I will add some garlic to see how it goes. Not too long ago I had the distinct pleasure of trying some fried dill pickles at Hooters. While the jury is still out on their wings I will tell you that their fried pickles are the best I have had to date. With that in mind I set out to make a batch at home for myself less the hooters. I tried a recipe that I found on the web which used a beer-type batter which I didn’t particularly care for. Hooter’s brand uses more of a flour type breading and possibly some corn meal added as well. 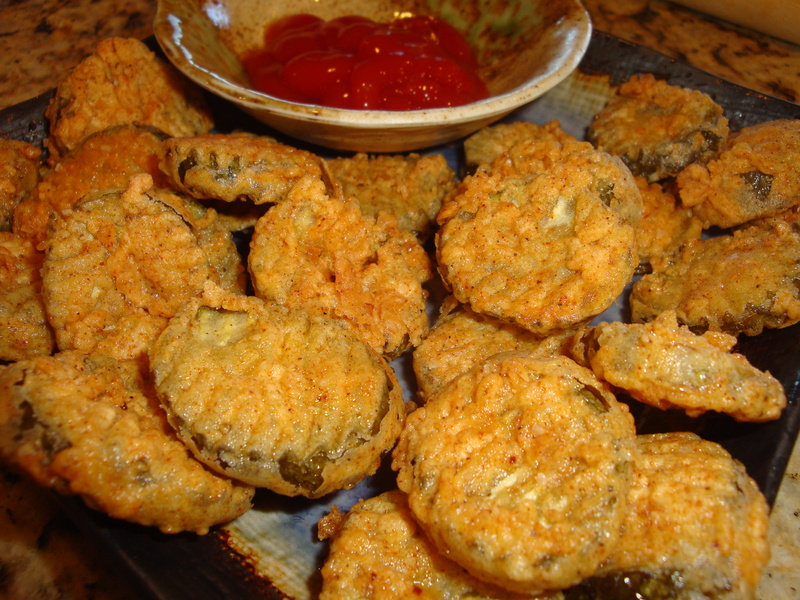 I found another fried pickle recipe from Bobby Flay and the Food Network which were much closer. This recipe called for an egg wash and then flour dip. 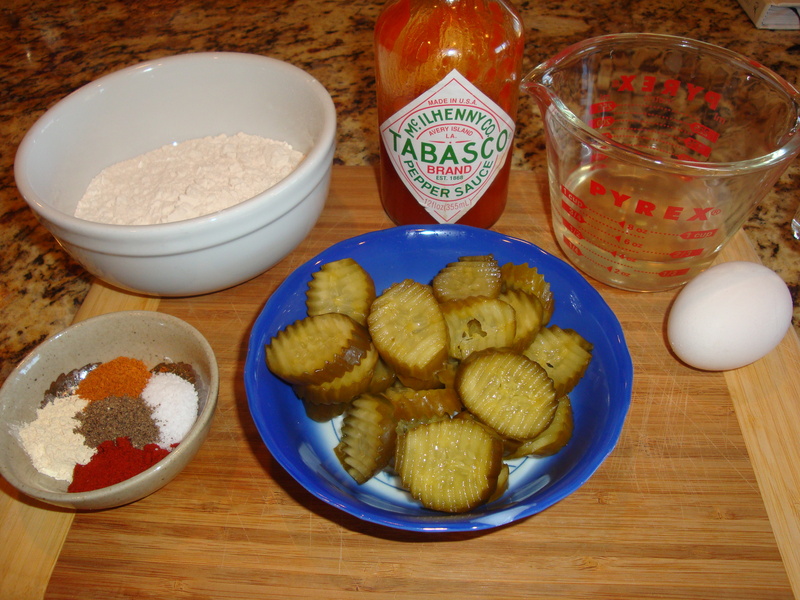 The egg dip called for 2/3 cup of pickle juice, 1 large egg, a few dashes of Tabasco and tablespoon of flour. To the flour I added a teaspoon of sweet smoked paprika, Habanero pepper, garlic powder, black pepper and kosher salt. Next, I sliced my dill pickles on my handy dandy Matfer mandolin which has a waffled blade. I think the ridges give the flour a bit more surface area to grab on to. 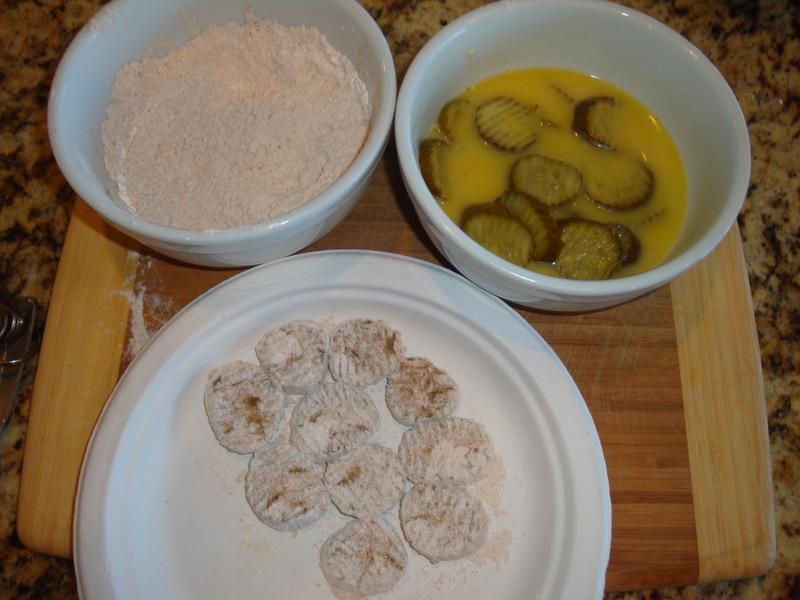 I added my sliced pickles to the egg wash and then transferred them to the seasoned flour and coated lightly, giving them a tap on the side of the bowl as I removed them. 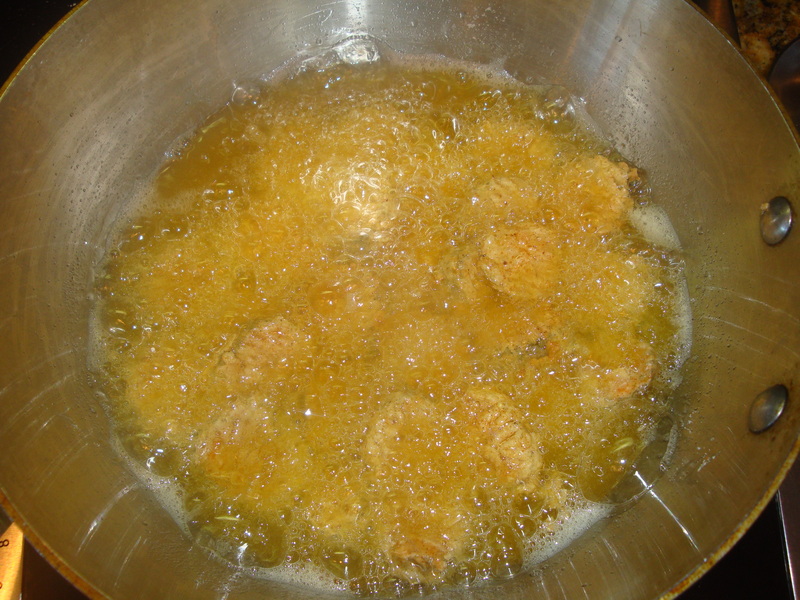 Lastly, I heated my vegetable oil up to 375 degrees and proceeded to fry the pickle slices until golden brown and crispy. The redneck in me said ketchup and so it was…nothing fancy but these guys could make you the MVP of the upcoming Super Bowl party.